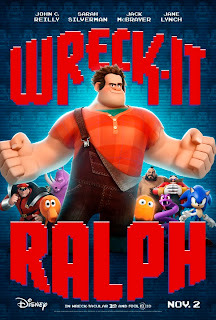 Wreck-It Ralph gives us a peek on what's happening inside an entertainment arcade. After all the customers left, in-game characters interact with each other. It reminisce the concept of Toy Story but hey, this is Disney, they can do that to themselves. Anyway, famous and not so famous game characters were seen through out the film and I must say, it was nostalgic. Never was I so happy on a video game based film (come on, Resident Evil is a poor adaptation of the game). What I liked about the cameo appearances is they didn't got in the way in the story line. It's not like they were forced in a scene where they will show up so that old school and new age gamers can jump for joy. Instead, they were given glimpse of those characters while the story focused on the main characters. The story? Come on, this is Disney quality. 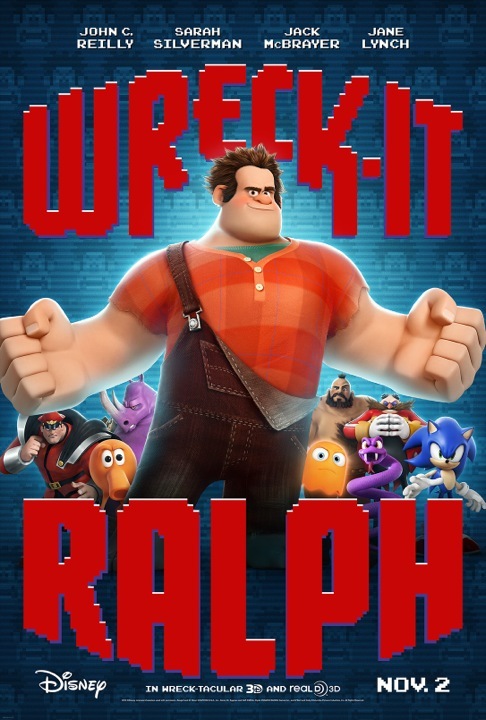 I would recommend this movie to be watched by the whole family, gamer or non gamer. The general concept may have been predictable but how the story progressed made a great impact. The animation is awesome, although it is not available in 3D here, I would recommend you watch it in full 3D glory if you can. All the action and special effects will leave your jaw hanging, I'll guarantee it. Overall, this movie is a keeper. I do hope they'll make a sequel or a spin-off because gamers will definitely enjoy this film.